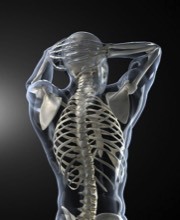 The many methods and techniques of manual therapy all involve specifically directed manual force to the body in order to improve range of motion, relieve muscle tension and to reduce musculoskeletal pain. The many methods and techniques of manual therapy all involve specifically directed manual force to the body in order to improve range of motion, relieve muscle tension and to reduce musculoskeletal pain. Because Rixen Chiropractic chiropractic professionals are trained in a variety of massage and other manual therapy modalities; patients seeking manual therapy treatment are assured of receiving only the finest quality chiropractic care. Rixen Chiropractic professionals carefully evaluate your condition before administering manual therapy treatment which may include traction massage, deep tissue work, soft tissue mobilization, joint mobilization and more.